Will accommodate all F series body applications including Panel truck. A replacement headlight switch with internal 30 amp circuit breaker, adjustable length shaft, and custom knob. Harness is laid out and formed to allow for nearly all after market accessories such as; gauge packages, wiper systems, heat and air conditioning systems, etc. Steering column connectors can plug directly into most aftermarket steering columns or stock 1953-56 Ford columns using the adapter and terminals included in the kit. Separate under dash courtesy lamp assemblies and door jamb switches are also included for use along with your original dome/interior lighting feeds. Rear body harness assembly plugs into the main harness at the left kick panel location and our longer leads allow for stock or custom routing of the wires. 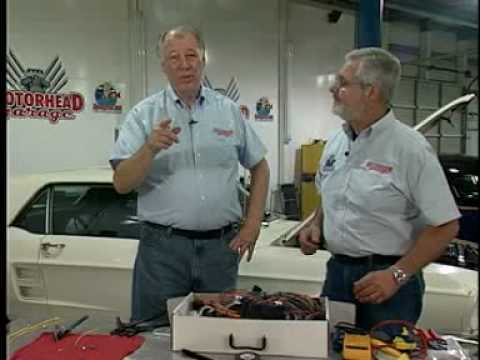 Rear body wiring includes backup light lead wires and connectors along with stop and tail light lead wires and connectors to mate into the stock Ford tail and back up lamp pigtail assemblies. A license plate lamp lead connection, as well as a fuel tank sender wire with tank unit connection is also included. New ignition switch, retainer, and chrome dash bezel are included.